‘We discussed that Christians, too, should influence the situation in a way that would make the violence stop, make the war stop, so that there will be no such terrible casualties as taking place today. It was an explicitly peacemaking dialogue’, the Primate of the Russian Church underscored. ‘Today I have had a talk with Pope Francis and all the Orthodox Patriarchs in the Middle East – Patriarch Bartholomew of Constantinople, Theodoros of Alexandria, John of Antioch and Theophilos of Jerusalem. Certainly, it was about Syria’, His Holiness Patriarch Kirill of Moscow and All Russia informed mass media representatives during his meeting with them on April 14, 2018, at the patriarchal residence in Peredelkino. Participating in the talks, which were initiated by the Primate of the Russian Orthodox Church, was also Metropolitan Hilarion of Volokolamsk, head of the Moscow Patriarchate department for external church relations (DECR). ‘We have undertaken this initiative in the awareness that Christians cannot stand aside from all that is happening in Syria today. Syria, the Middle East, is the place where Christianity emerged, and the terrible conflicts tormenting the Syrian land today cannot but create threats including to the Christian presence. Moreover, it is quite obvious that people are suffering. And the message of the Church has always involved proclamation of peace among people and justice. 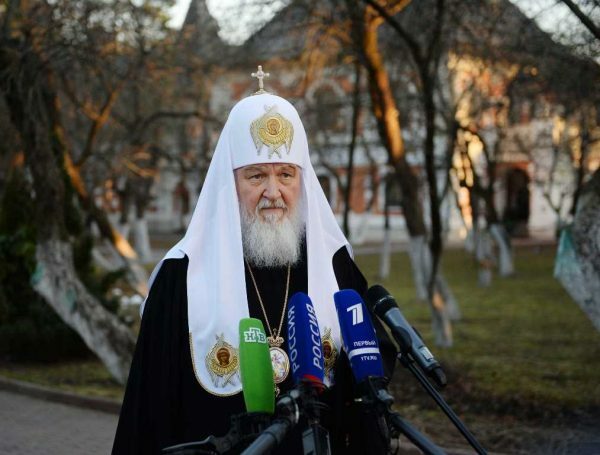 So, it is impossible to keep silent about what is happening in Syria’, Patriarch Kirill stated. At about 4 o’clock, Moscow time, the USA, France and Great Britain launched a missile attack on Syria. ‘I am satisfied with my talks as each of my interlocutors took my concern with full understanding’, His Holiness continued, ‘there is a wish to continue consultations to try somehow to influence the situation’. According to His Holiness, the Church is a peacemaking force. ‘We say this with reference to an internal situation, when we consider some domestic conflicts. We say this even in reference to people’s private lives when it is necessary to reconcile people. But the Church should play this role globally as well’. His Holiness also noted that the Church has no political aims whatsoever: ‘she is outside of any political context or political struggle, and this enables us to talk with all, which is a big thing in a situation of conflict’. The head of the Patriarchal Press Service, Rev. Alexander Volkov, answering questions from journalists about the telephone talks, said that the talk the Primate of the Russian Orthodox Church had with Pope Francis of Rome ‘was held in a good atmosphere of mutual understanding. It began with reciprocal Easter greetings and continued in the context of Syrian problems and the threat faced by the entire world community. The Pope and the Patriarch agreed to continue the constructive dialogue’. That same day, at the instruction of Patriarch Kirill, Metropolitan Hilarion discussed the same topic with Patriarch Tawadros II of the Coptic Church and Patriarch Ignatius Aphrem II, head of the Syriac Jacobite Church.